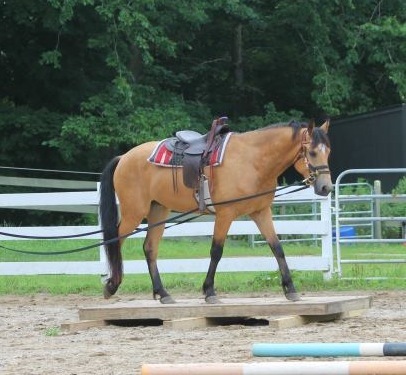 There are many reasons that people come to ROTH; the search for a greater connection, to be a more effective horseman, to help more at their rescue, to learn the finer points of training/gentling, and the list goes on. The outcomes of coming are just as endless and sometimes they corrilate with the goal and sometimes they surprise the attendant. Every so often, a bond is formed with a horse in the clinic and the person that is allocated that horse. As if by destiny two souls meet and it is just meant to be. And from that point forward it is clear that the horse has found their home. In this first story we share with you the story of Ranger, Romeo, and Charm who all started their training at The Comprehensive Week of Foal Gentling and they also were started under saddle at The Colt Starting Clinic. The now live in their forever home with a family, Barbara, Jennifer, Brian and Paul Lemay, that loves and appreciates them. Make sure to enjoy a YouTube videos of their final day of gentling below! Within the last four years our family has rescued three Premarin foals with the help of Reach Out to Horses, Ray of Light Farm, and Equine Angels. In 2010 we found out about rescue missions that bring untouched foals from Canada into the United States; we felt the need to go see the foals. Instantly we knew Ranger and Romeo would soon become part of our family. From this experience we met great people and it allowed us to have the opportunity to welcome Charm to our farm in April of 2012. Having had horses throughout the years it seemed fitting to, what we thought would be, rescuing these young, untouched, horses. To our surprise it is, Romeo, Ranger, and Charm that have given our family the gift. Now, given that we have had horses for most of our lives, we presumed our new additions would follow suit to the plethora that came before them. What we didn’t realize is that this would be completely different and our style of horsemanship would evolve into something, which at the time was completely foreign, but today is second nature. The reason for this change in horsemanship came from meeting Anna Twinney. Anna’s thought process in horsemanship has rubbed off on each member of our family differently; however, her consideration and pride in the animals has touched each of us. Barbara, originally from, New York City never grew up with horses. Although she does not take part in the care or training, rescuing these horses has changed her outlook as well. Due to a recent medical procedure, doctors offered her the drug Premarin. Her response was shocking to them, “My family has rescued three horses that would not have had the chance to live because of that drug… it is against my moral code to take it.” This was her way of making an impact for the medical industry along with natural horsemanship. While in college, Brian was the first to hear of these rescue missions and instantly thought it was a calling to do something to help. 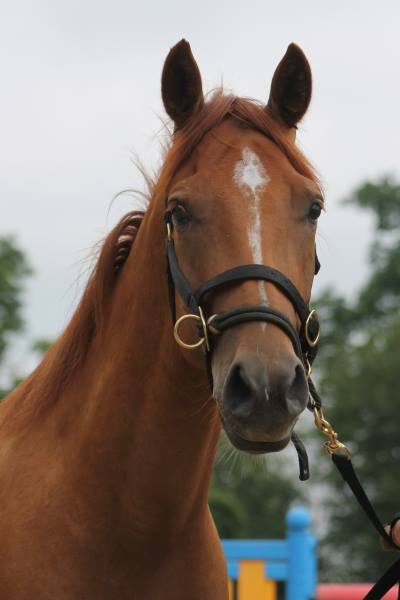 He called his parents, Paul and Barbara and his sister, Jennifer, to inform them of the foals. Brian came home the next weekend to go see them with his family. 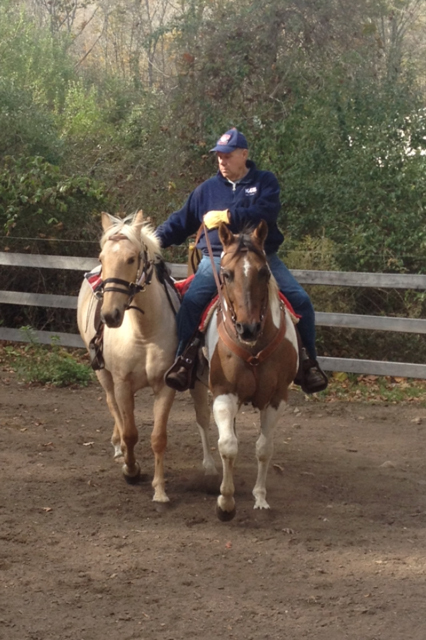 Paul and Brian have taken special care to go through a training regimen that has grown into, taking what Anna accomplished at her Foal Gentling and Colt Starting clinics and continued to develop each horse. To say that we have rescued Ranger, Romeo, and Charm would not be giving them enough credit. They have made our family laugh, cry, and feel the pride that we did something special. So I ask you, who rescued who? In 2009 Anna visited Ray of Light Farms in East Haddam, CT to help gentle a batch of Premurin foals resulting in the Foals In Training DVD set. This comprehensive set of DVDs brings each aspect of truly natural horsemanship to a pace that young and untouched can understand. Which helps to make it a pleasent and easy instructional to follow. Come see what ROTH has to offer and who knows…maybe your herd will grow!